Head down to watch the Waterloo Bucks play on this Throwback Thursday on June 7th versus the Duluth Huskies being presented by Hamm’s … "Full Story"
Bring the family out to Cost Cutters Field at Riverfront Stadium and watch the movie ‘Coco’ on the stadium LED video board. The … "Full Story"
Get your tickets now for all 2018 Bucks home games! 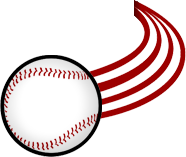 Or call the Bucks’ Ticket Line at 319-232-5633.… "Full Story"
LA CROSSE, WI- The Waterloo Bucks (4-2) used a five-run top of the fifth inning to defeat the La Crosse Loggers 11-2 on … "Full Story"
Brett Solano tossed a season-high eight scoreless innings in the Bucks third straight win on Tuesday. WATERLOO, IOWA. … "Full Story"
Bucks improve to 2-0 for second straight year on Jake Hand’s walk-off fielder’s choice in the 10th. Bucks win fifth straight season opener with 7-4 win over St. Cloud. WATERLOO, Iowa – Jared Crescentini … "Full Story"
Waterloo, IA – The Waterloo Bucks have announced the hiring of Scott Douglas as the team’s new Field Manager. No stranger to the … "Full Story"